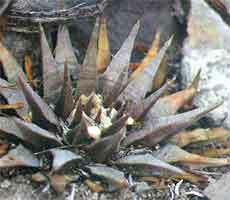 Ariocarpus retusus, East of Huizache. 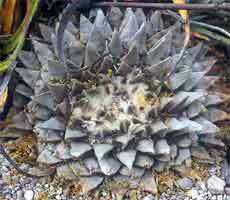 AAriocarpus retusus, a very large plant. 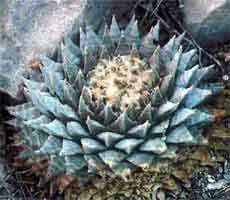 The hills around the Huizache area contain populations of Ariocarpus retusus, similar to those found at Huizache itself, with elongated tubercles, plants tend to be mostly solitary but can achieve quite large sizes such as the 25cm diameter plant shown here.